Micrograph of a Pap stain. 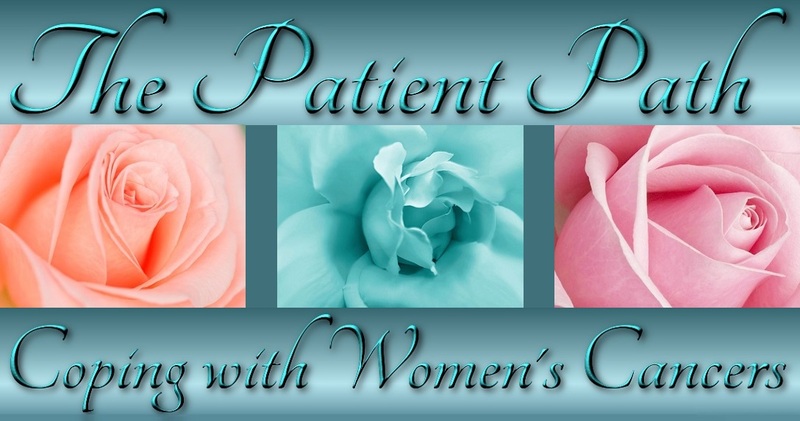 As noted in the March 5, 2015 post, since my hysterectomy for uterine cancer (endometrial adenocarcinoma) on December 13, 2013,* I have had five Pap tests, all but one of which were normal. It was that pesky first test done last summer because of ongoing vaginal discharge, which I have had since undergoing radiation treatment (vaginal brachytherapy), that was the cause for alarm. Finally, at today’s 17-month post-op visit, the gynecologic oncologist said, “No more Paps.” Actually, he had said the same thing back when I had the surgery. But the vaginal discharge was a concern, so even though Pap tests are no longer recommended in cases like mine, I underwent five of them plus two colposcopies and a biopsy. However, despite the recommendations, we went ahead with the additional tests because the first post-op Pap showed “Atypical Glandular Cells of Undetermined Significance (AGUS)”—not once, but twice because my surgeon had a second lab read the first lab’s results (which were confirmed). So it is difficult to say whether that first Pap was actually a false positive. In retrospect, my surgeon thought my immune system might have taken care of whatever caused the atypical cells. And my regular gynecologist thinks the ongoing vaginal discharge is simply the result of cellular changes due to estrogen deficiency. The good news is that my pelvic exam today was normal, and I don’t need any more Pap tests or colposcopies (barring unforeseen changes). The best part of this is not having to wait and wonder about lab results for two to three weeks. As any patient knows, waiting is an art form that is very difficult to master. All in all, I have been generally impressed with the decisions my surgeon has made along the way. * He advised me to see my regular gynecologist (who performed the most recent Pap test in February) in three months and to return to see him in six, which will take me up to the two-year mark. Thereafter, if all is well, I can reduce my quarterly visits to semiannual and then annual visits. My surgeon and his partner are doing something I applaud, which is a research study to try to determine “The Relationship of Patient Characteristics to Molecular Genetic Changes in Uterine Carcinoma.” My doctor asked whether I would like to participate, and of course I said yes. I was surprised to learn that the hospital lab keeps surgical specimens for a number of years, but this is a good thing if further studies can uncover information that will help people not to get cancer in the first place. My dear old organs will be re-examined and I will be surveyed. When I have more information about the study, I will update this post. Uterine cancer, or endometrial carcinoma, is the most common gynecologic cancer and the fourth most common cancer in women, especially in developed countries. When I was first diagnosed, I did a lot of reading about risk factors, and I urge you to do the same. Please begin here. *For more on my history of uterine cancer, see: Uterine (Endometrial) Cancer – My Story & More.